The Indian government has approved a proposal to promulgate Fugitive Economic Offenders Ordinance 2018, in a bid to crack down on economic fugitives and attach their properties. 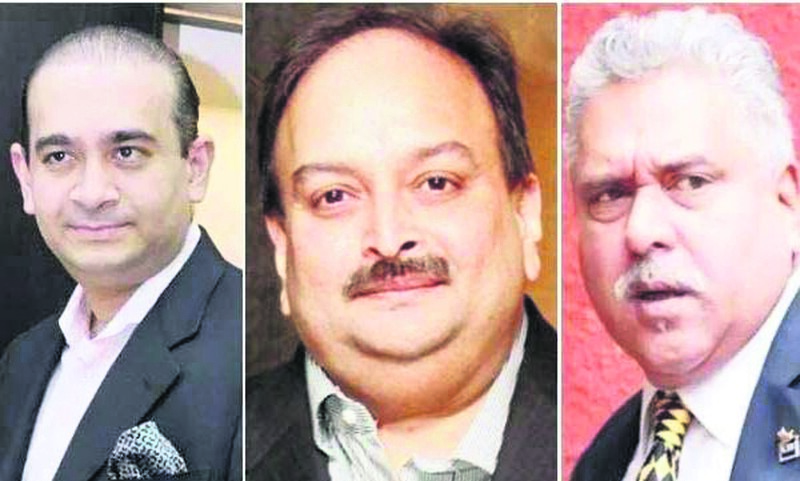 Sources said the ordinance seeks to confiscate properties of economic offenders like Nirav Modi. The move came after several offenders fled Indian jurisdiction after committing fraud. Provisions of the ordinance will apply for economic offenders who refuse to return, persons against whom an arrest warrant has been issued for a scheduled offence as well as wilful bank loan defaulters with outstanding debt of over £10 million. The ordinance defines a fugitive economic offender as a person against whom an arrest warrant has been issued for committing offences like counterfeiting government stamps or currency, cheque dishonour for insufficiency of funds, money laundering, and transactions defrauding creditors. According to the ordinance, a director or deputy director may file an application before a special court to declare a person as a fugitive economic offender. The application will contain reasons to believe that an individual is a fugitive economic offender. The application will contain reasons to believe an individual is a fugitive economic offender. It will also have information about his whereabouts, a list of properties believed to be proceeds of a crime for which confiscation is sought, a list of benami properties or foreign properties for which confiscation is sought, and a list of persons with an interest in the properties. On receiving the application, a special court will issue a notice to the individual, requiring him to appear at a specified place within six weeks. If the person appears, the court will terminate its proceedings under provisions of the Bill. Any property belonging to the fugitive may provisionally be attached without the prior permission of the special court, provided that an application is filed before the court within 30 days.